Keep your virtual reality gaming powered with the all new VRCharge. Simply clip the VRCharge onto your VR goggles and plug into your Samsung Gear VR to begin charging. 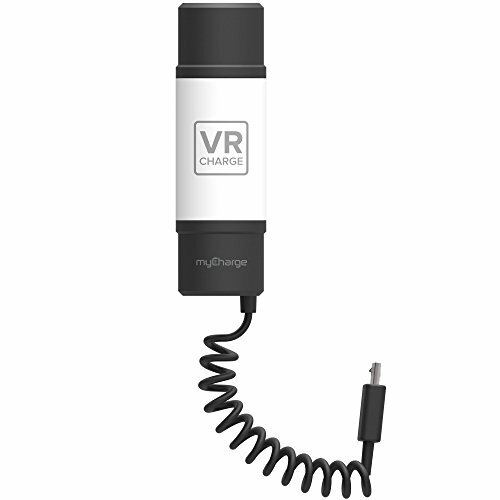 When fully charged, the VRCharge offers your Samsung Gear VR 4 hours of power with no drain to your phone. The VRCharge is designed for use with our without headphones. If you have any questions about this product by myCharge, contact us by completing and submitting the form below. If you are looking for a specif part number, please include it with your message.